A landslip warning will be issued by the Hong Kong Observatory in conjunction with the Geotechnical Engineering Office when there is a high risk of many landslips as a result of persistent heavy rainfall. The Warning is aimed at predicting the occurrence of numerous landslips, and isolated landslips which cannot be predicted will occur from time to time in response to less severe rainfall when the Warning is not in force. The Landslip Warning supplements routine weather forecasts by drawing attention to risk from landslips due to heavy rain. It is intended to prompt the public to take precautionary measures to reduce their exposure to risk posed by landslips, and to assist engineers, contractors and others who are likely to suffer losses from landslips. The Warning also alerts the relevant government departments and organisations to take appropriate actions, such as opening of temporary shelters, search and rescue operations, closure of individual schools and relief work. It is issued irrespective of whether other severe weather warnings, e.g. tropical cyclone warning signals or rainstorm warning signals, are in force. Although heavy rainstorms are not uncommon at any time of the year in Hong Kong, most of them happen during the summer months. Indeed, close to 80 per cent of annual rainfall occurs between May and September. 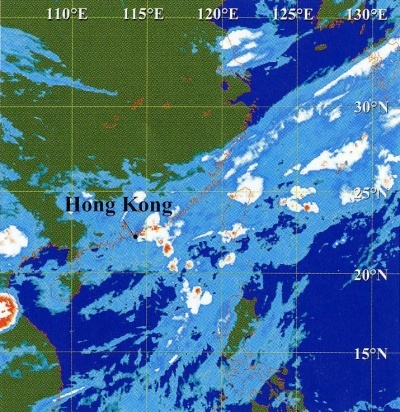 The highest ever hourly rainfall recorded at the Hong Kong Observatory in Tsimshatsui is 109.9 millimetres which occurred during the rainstorm on 8 May 1992, but higher hourly rainfalls have been recorded in some other parts of Hong Kong. Since the introduction of effective geotechnical control in Hong Kong in 1977, and with concerted government effort over the past 20 years to reduce the risk from landslips to the community, casualties and disruption from landslips have been greatly reduced. However, the risk can never be entirely eliminated, and some tragedies continue to occur. The collapse of an old masonry wall in an estate in Kennedy Town after torrential rain in July 1994 killed five people and seriously injured three, and caused the evacuation of more than 2,500 people. Heavy rain following the passage of Severe Tropical Storm Helen in August 1995 brought widespread landslips, causing three deaths. 1997 was the wettest year on record to that time, resulting in 548 landslips being reported, with the loss of two lives. 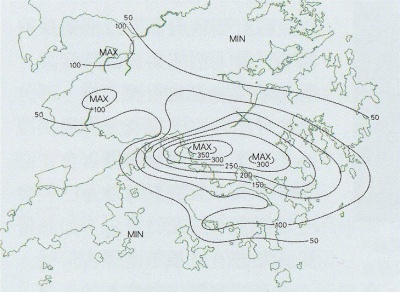 In order to issue timely warnings to the public, the Hong Kong Observatory keeps a continuous watch of the weather in and around Hong Kong. Readings from a network of more than 70 automatic rain-gauges covering the whole of the Special Administrative Region are telemetered to the Observatory Headquarters to provide real-time information essential for assessing the likelihood of landslips. In addition to conventional meteorological observations, the Observatory's weather radar system provides a good means to continuously monitor the movement and development of rain-bearing clouds. Meteorological satellite imagery at high resolution is received at frequent intervals, providing a bird's eye view of cloud patterns over Asia and the western Pacific. 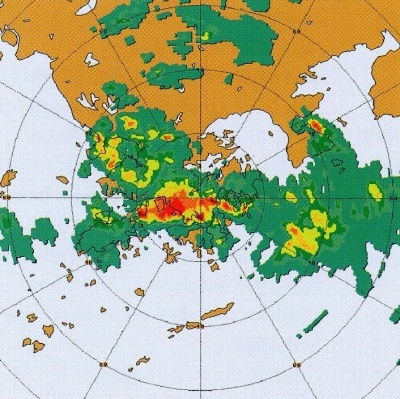 Echoes captured by the Hong Kong Observatory weather radar at 6:18 a.m. on 4 June 1997 when heavy rain associated with an active trough of low pressure was affecting Hong Kong. For an update on the state of weather warnings members of the public may call the Observatory Dial-a-Weather service at 187 8200, or the Observatory Internet homepage (http://www.weather.gov.hk).